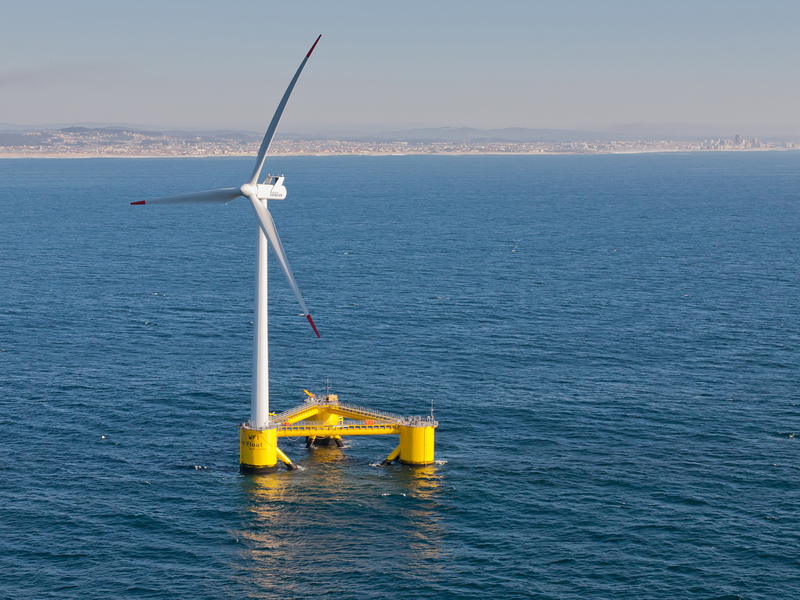 A wind turbine on a floating platform off Portugal. Tethys has information on the environmental effects of projects designed to harness ocean energy. A sperm whale off the coast of southern California. Photo taken under NMFS permit #14534; credit A. Friedlaender. An offshore wind farm off the coast of the United Kingdom. SEATTLE, Wash. — Wondering what the impact on killer whales might be from a turbine installed under the sea? Curious whether crabs and other crustaceans might be attracted to underwater cables carrying electricity to homes and businesses on the mainland? Interested in which country is harvesting the most energy from the world's oceans? The answers to these and many more lie with Tethys, a robust online resource available for free to anyone interested in ocean energy and offshore wind resources. Tethys — named after the goddess of the sea in Greek mythology — focuses on the environmental effects of energy projects that are proposed, underway or completed in the ocean and above it. The database includes hundreds of scientific papers, technical reports, regulatory applications on file with federal and international bodies, and clickable maps that show the locations of research studies and project sites under development around the world. A robust search function allows a user to filter results, for instance, to find all tidal energy projects in the United States, offshore wind projects in Europe, and so on. The resource was created by marine scientists and IT specialists at the Department of Energy's Pacific Northwest National Laboratory, based in Richland, Wash. PNNL is the only DOE laboratory with an ocean research facility, the Marine Sciences Laboratory, which is located on Washington state's Olympic peninsula west of Seattle. "There is enormous energy capacity within our oceans," said Andrea Copping, an oceanographer at PNNL who heads Tethys. "Can we develop this potential responsibly, to reduce our carbon footprint, without doing damage to the ocean? This is the question that Tethys is designed to explore." Tethys is an important form of outreach for the Department of Energy's Office of Energy Efficiency and Renewable Energy as it seeks to accelerate efforts to tap the vast energy potential of the oceans with minimal impact on the environment. The website also serves as a virtual community that gives users the opportunity to comment on new research, to seek advice, to let their peers know about regulatory developments, or to find potential new collaborators. The site is aimed at project developers, regulators, scientists, students, and anyone interested in the effects of marine energy projects on the environment. The site encompasses hundreds of projects that harness energy by using devices that spin, bob, rise and fall, or sway back and forth in the ocean. Structures include buoys the size of buses that move up and down to capture energy from waves; turbines anchored to the sea floor that spin with the tides; and offshore platforms that support floating wind turbines. Systems typically include a network of underwater power cables that funnel the energy between devices and a main cable that carries the energy to where it's needed on land. 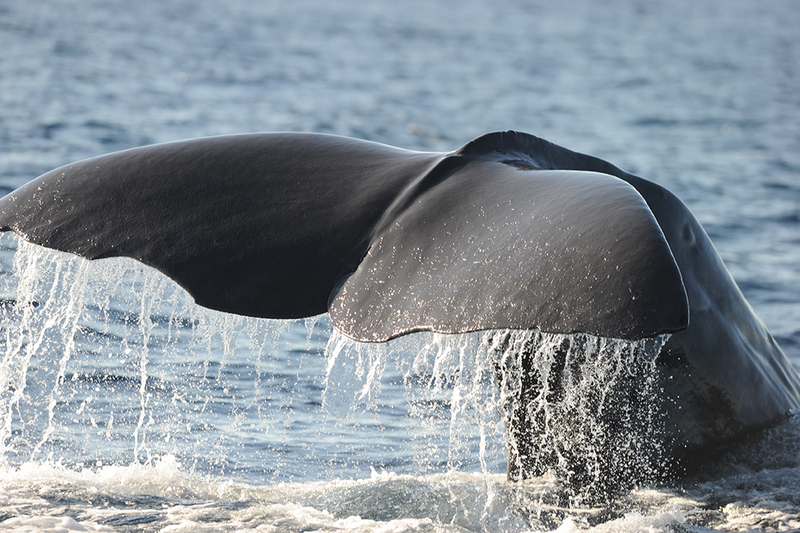 Researchers are investigating potential environmental effects, including noise that might disturb marine mammals, power cables that might emit electromagnetic fields, mooring lines that might entangle wildlife, and spinning blades that might injure marine animals. More subtle effects might include consequences to the shoreline when wave energy is removed from a particular spot of flowing water, or the impact on sea life from moving cold water from the bottom of the ocean to the surface and warm water to the depths. Tethys draws heavily on data gathered through an international effort, Annex IV, which is a collaboration created by Ocean Energy Systems, a technical initiative under the International Energy Agency. Annex IV nations have agreed to pool their information on wave and tidal energy projects and make that collection freely available to the public through Tethys. "We believe we have, in one form or another, environmental data on almost every wave and tidal device that has ever been placed in the water anywhere on the planet," said Copping. Europe is a front runner in developing offshore wind and ocean renewable energy, with multiple offshore wind projects already connected to the grid, and tidal and wave pilot projects underway. 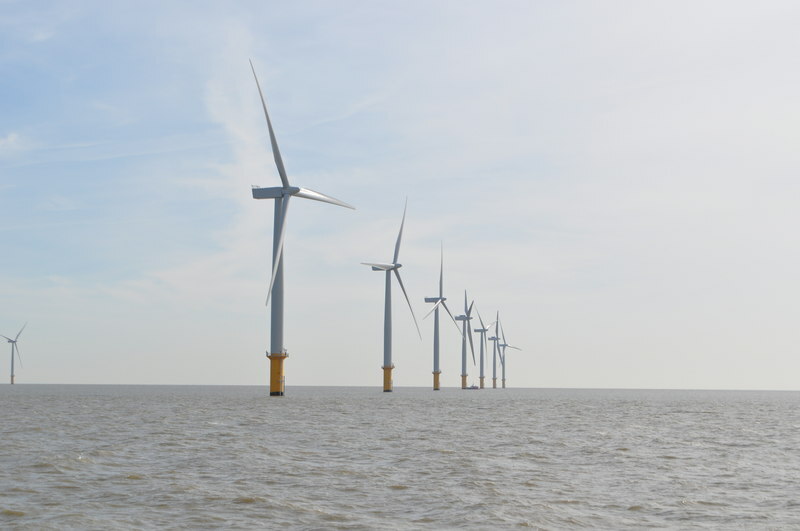 In the United States, offshore wind is set to grow rapidly with multiple projects in the planning phases, including three demonstration projects supported by the Department of Energy announced earlier this month. 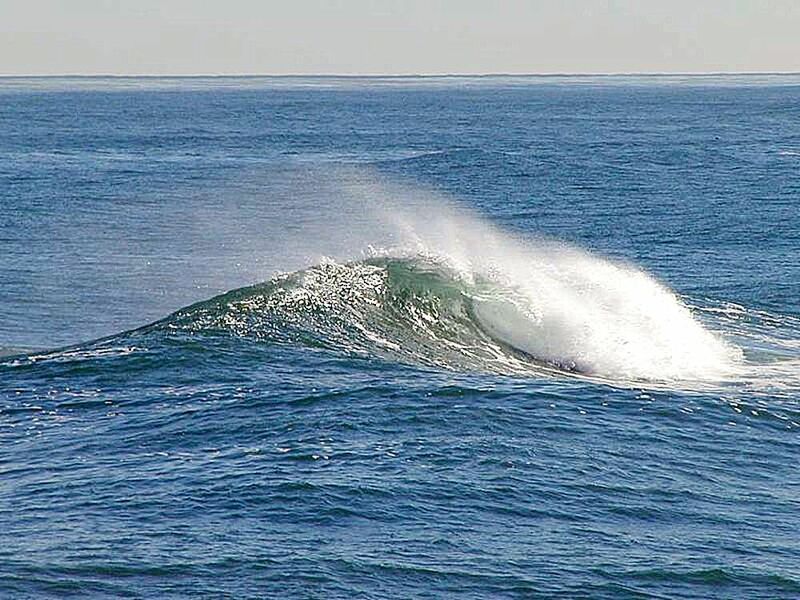 Tidal and wave power devices have been tested on a smaller scale, with one tidal energy project off the coast of Maine that has been connected to the grid. The Pacific Northwest is one of the nation's most promising spots for ocean energy. A tidal energy project has been approved for Admiralty Inlet near Seattle; another wave energy project is planned off the coast of Oregon; and the Oregon Coast is one of three offshore wind sites selected earlier this month by the Department of Energy to receive federal funding. Copping and her PNNL staff have been part of that project, headed by Principle Power of Seattle and Deepwater Wind of Rhode Island. Tethys is funded by DOE's Office of Energy Efficiency and Renewable Energy. Copping's PNNL colleagues supporting the project include Luke Hanna and Jonathan Whiting.